You may think you are taking care of your dog, but they are taking care of you! Dogs are more than a best friend, they are your confidant, partner in crime, family member and sometimes child. It is a right of passage to adopt a dog and that said, some breeds are more popular among owners than others. Every year the American Kennel Club (AKC) ranks the most popular breeds. The reigning champ has held onto the top spot for 25 consecutive years, but a handful of different breeds have knocked that pedigree off the podium since the AKC's founding. 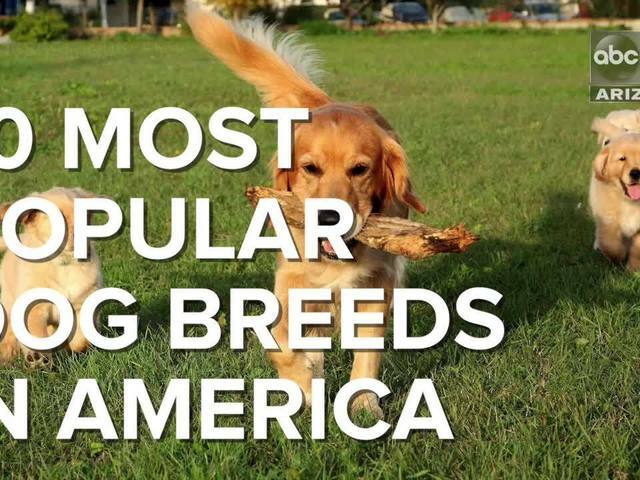 Watch the video above to see if you can guess the top 10 breeds found in American homes! Have you ever wondered what the top dog NAMES are in Phoenix? Look no further. Here are the 2016 results presented by Nextdoor.com.